The Geno/Grinder® 2010 is the most versatile high throughput homogenizer available today. With the new adjustable clamp assembly, it can hold two to six deep well plates, up to 160 microfuge tubes, 96 - 4ml vials, 20 - 15 ml vials, or combinations thereof. It can also accommodate 15 and 50 ml conical tubes. 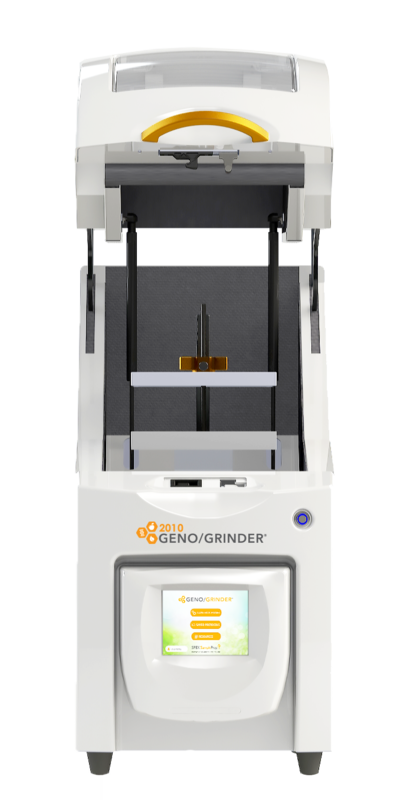 The linear vertical motion treats all samples to the same grinding motion. It can operate from 500 to 1700 rpm at times up to 10 minutes. 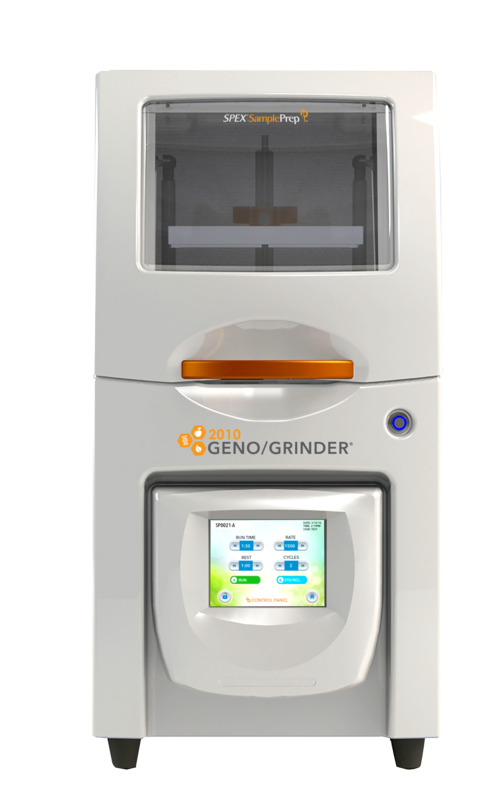 The Geno/Grinder® 2010 is also designed to hold cryoblocks which can be used to keep samples cold during processing. This adds extra dimension to the homogenizer when temperature sensitive samples need to be processed. If you would like to run four vial sets or titer plates at the same time, a stacking tray is needed. Samples can be processed at room temperature or cryogenically. For more information, see Geno/Grinder® 2010 Accessories. Unsure of which pre-filled tubes to use with your samples? Follow the link to see our comparison of pre-filled disruption tubes.